While aeration and digester wastewater treatment systems are fundamentally different, they share common challenges when it comes to accurate air/gas flow measurement. 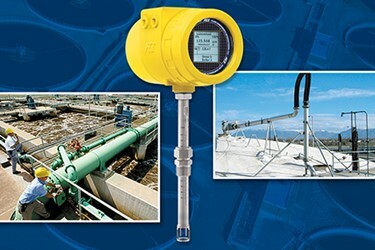 Flow meters need to operate over a wide flow range, fluctuating from very high to low rates. The fluid media can be benign, moist, dirty or corrosive and combustible under the right conditions. When you look at these flow metering challenges, you’re facing a really tough opposing team. You’re going to need a good offense, but a much better defense to win in the big leagues. This game is going to be tough, and it will require some great pitching and an infield that knows how to turn a double-play with confidence.